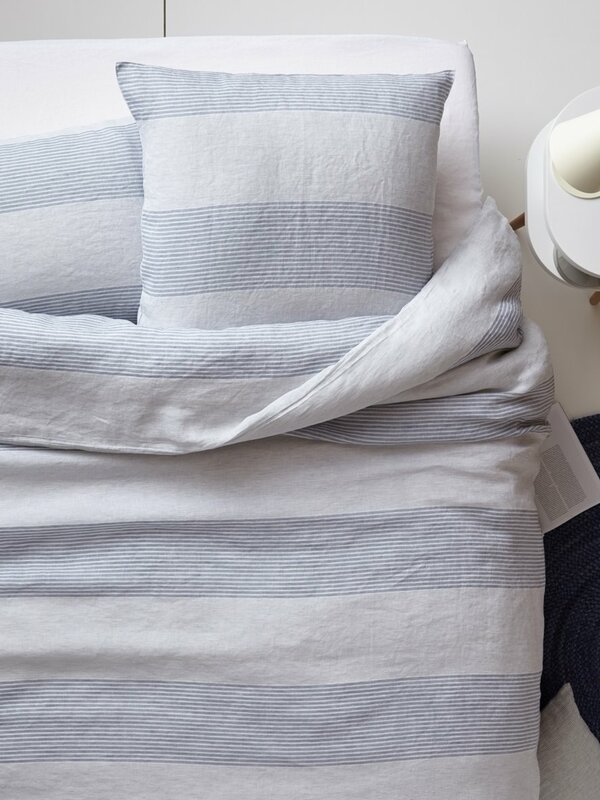 Washed with a light lustre, this bed set in stripe linen is soft, supple, and really easy living. Cyrillus Creation. Narrow and larger woven-dyed stripes. Same front/back. Duvet cover with tuck-in flap. Machine washable at 40°C. Made in Portugal. This product contains linen. Linen is a natural fibre that' s non-allergic, insulating and respectful of the environment. It adds elegance, durability and supple drape to a garment.